Here in Romania we’re getting ready for the Orthodox Easter. Many religious people fast, go to church often, and get the Eucharist on the Sunday before Easter, which is usually called in English Palm Sunday. Over here it’s more like Willow Sunday, for the date palm that the crowd threw into Jesus’s path when he entered Jerusalem one week before his Resurrection has been substituted here in Romania for branches of the willow tree. People take them into church on Palm Sunday to be sanctified. I’m reading that in other countries people use olive branches or yew branches. This is all very interesting to me, how traditions are adapted. In fact, speaking of adaptations, what we also celebrate here on Palm Sunday, which we call Duminica Floriilor, or, simply, Florii, are all the women who bear flower names, such as Camelia (camellia, which gave Camille in English), Florica (which means “(little) flower” in Romanian) and Florin or Florian (its male versions), Florentina (another name derived from “flower”), Violeta (violet), Viorel and Viorica (male and female names derived from “viorea” meaning viola), Crina (female name meaning “lily”) or Iris. In other words, on Palm Sunday we also celebrate, with great excitement, the pagan Roman holiday of Floralia. This holiday, which took place in the times of the Roman Republic and Roman Empire over several days at the end of April and beginning of May, was dedicated to Flora, goddess of flowers and spring, one of the minor fertility goddesses. Her name is derived from the Latin word flos, -ris – which gave the words flower and flora in English. What many Bucharesters do on Palm Sunday is go to the Village Museum ("Muzeul Satului" in Romanian), where year after year there is a crafts fair held on this occasion. You’ll see painstakingly embroidered folk costumes that take months to make, decorated Easter eggs (with wax, beads, and with the decoration on real eggs emptied of their content or on wooden eggs), decorated plates made in Horezu, decorated ceramics made in Corund, carpets and runners, natural food products, including jam, honey, and plum brandy, and so on. There are also icons on glass, a tradition popular here in Romania. People pretty much know what to expect, and yet every single year they crowd into the Village Museum to enjoy the crafts, the art, the spring blossoms (I loved the lilacs, the apple trees, and the quince trees), the music (there’s always some music; on some occasions there are also wonderful folk dance ensembles), and the food (there’s an inn on the premises, which actually serves food to the visitors). This year there was also bragă, a fermented drink made from millet and cornmeal. We have a phrase about this drink, “ieftin ca braga” (cheap as braga). Well, not anymore. I bought a 1L bottle and paid 10 lei (2.20 euros). And it was selling like hotcakes. Decorated eggs (ouă încondeiate / ouă împistrite) were selling well too. I already have a collection of 8. There were chicken eggs, turkey eggs, duck eggs, goose eggs – each set larger than the former – as well as ostrich eggs. All pretty interesting. There were also old and new designs. Among the new ones, eggs with Romania spelled in plastic beads as a part of the design, and eggs on a golden background. Traditionally, the designs and colors on Romanian Easter eggs were those on Romanian folk costumes. The designs were mostly geometric, and the colors used were red, yellow, and blue, together with white and black. Now, as you can see in one photo, there's also light blue in the beaded eggs, and more eggs with figurative designs, such as the one showing a house. These decorated Easter eggs are made using wax in different ways. Similar Easter eggs are created for Easter in various other Eastern European countries. Many of them are named using a word derived from the Russian verb "pysaty," meaning "to write." Belarusians and Poles make pisanka, Bulgarians: pisano yaytse, Slovenes: pisanica, pirhi or remenke, Serbs and Croats: pisanica, Czechs: kraslice, Slovaks: kraslica, Hungarians: hímestojás, and Lithuanians: margutis. After they're sanctified in church, the willow branches are brought home and made into wreaths. Then they are hanged by an icon, and when they dry off, they are burned. You'll see below a woman making a willow wreath in the Herastrau Park, which the Village Museum is a section of. This was later in the day, hours after the religious service, so she wasn't particularly observant. In Palm Sunday / Branch Sunday / Willow Sunday customs, the willow performs a double function: a substitute for the date palm, and symbol of spring vegetation. I read online that even in England, Palm Sunday is sometimes called Willow Sunday, and that a certain kind of willow has come to be called "palm willow" by association with Palm Sunday. The fair at the Village Museum was not only about crafts. There was also a woman selling all kinds of honey, and a couple selling jams and plum brandy. The jams were particularly popular. Rather unusual, too. At least, I didn't know they were common in Moldavia, the northeastern part of the country this couple was from. They had red onion and sour cherry jam, hot pepper jam, and green tomato jam, along with more common jams like dog rose. I got sloe jam, made with 100% sloes (you know, the berries used to make sloe gin) and no sugar. I rather enjoyed it. First time I tried. I wrote more about the Village Museum (Muzeul Satului) and Herastrau Park (Parcul Herăstrău) in Bucharest, Romania in a previous article, accompanied by photos and a short edited HD video sequence. You can see that article here. 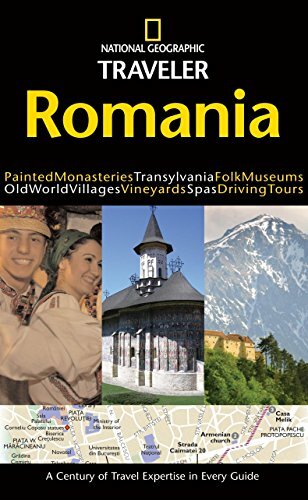 If you visit Bucharest, then this is a combo attraction I recommend. 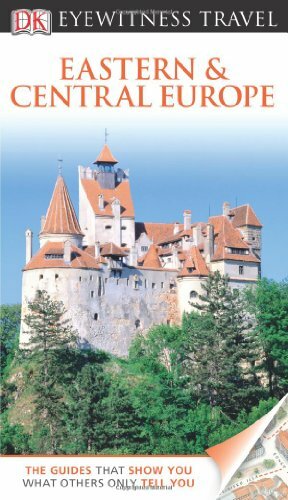 The New Lonely Planet Guide will cover both Romania and Bulgaria. Will be released on June 1, 2013. Mira, Such lovely traditions in Romania. The designs on the eggs are gorgeously intricate. I enjoyed your photos, especially of scenes in the park where the greenery is so restful for the eyes. They do, don't they? They're also fun to make. He explained it to me and I could see it happen. Hope to visit him in Horezu sometimes, when he (or other people) demonstrates his pottery-making. Thank you for stopping by, fanfreluche! I love craft fairs! I also love visitng shops featuring handmand products. The plates you are showing look very nice! The photos really capture the spirit of these beautiful crafts in the village museum. I love things that are vintage in nature and these remind me of the Chinese pottery. 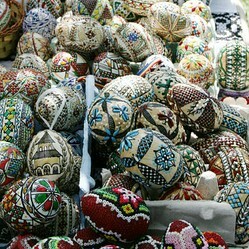 The Ukrainian pysanky eggs are very similar, although they use different designs. The traditional designs and colors of Romanian Easter eggs are inspired by our folk costumes. Are those psyanki eggs? They were very popular in my town in New Hampshire. Very interesting. Wish I could visit!